“By giving patients safe, legal access to medical marijuana, Connecticut joins over a third of the United States in recognizing the plant’s economic and medical value,” said Brad Burge, Director of Communications for the Multidisciplinary Association for Psychedelic Studies (MAPS), a non-profit pharmaceutical development company. “The new law also reminds us how far state and federal attitudes toward medical marijuana have diverged. The Obama administration continues to fight medical marijuana, and the states just don’t agree.” MAPS has been supporting a Massachusetts professor who is suing the DEA in federal court for upholding a federal blockade on medical marijuana research. The organization hopes to get marijuana approved as a prescription medicine and facilitate an FDA-approved study of marijuana for veterans with PTSD, pending the outcome of the lawsuit. Under the Connecticut bill, patients and their caregivers must register with the Department of Consumer Protection. 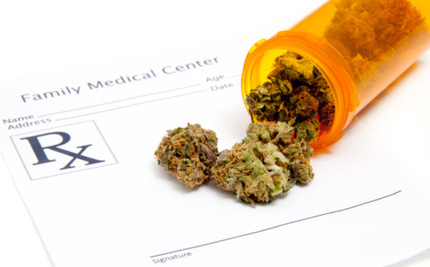 In addition, a doctor must certify there is a medical need for marijuana to be dispensed, including such debilitating conditions as cancer, glaucoma, HIV, AIDS, Parkinson’s disease, multiple sclerosis or epilepsy. This is the same or very similar to the way medical marijuana is prescribed in other states.